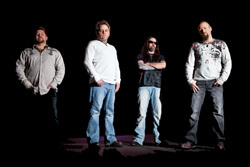 There's a lot to like about the Colorado metal band with the strange name, Bodragaz. Their seventh studio album, Symphony, lives up to its name, for one. Here's a solid collection symphonic and melodic power metal tunes. Other strengths define the band as well. Not the least of which is strong song arrangements, spry musicianship, strong vocals, and solid production. Symphony is well-executed and simply sounds great. The orchestrated symphonic synth layers throughout give many songs an epic texture which reminds of Italian cinematic metal. Yet, listening to songs like Phoenix, Dream On, or Last Days you hear that, fundamentally, Bodragaz is a heavy metal band. The symphonic and prog features only expand and strengthen the bands sound and character. As to the progish nuances, you'll get that on the most excellent title track, but also Genevieve and Red Sun. That last song might be the most understated of all the songs here from a metal stand point, but also the most soaring and anthem-like of the bunch. Having never heard of Bodragaz until this album, I wonder how much they may be flying under the radar elsewhere. Frankly, this band and this album are too good to miss. Symphony is an inspired and entertaining album of symphonic and melodic power metal. Quite recommended. 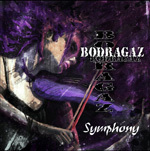 Bodragaz's Symphony is an inspired and entertaining album of symphonic and melodic power metal. Quite recommended.